Tariff loophole for U.S. importers, tackling ecommerce packaging challenges and Cambodia garment industry improvements in this week's roundup. Each Sunday, we publish a list of top articles and other content related to manufacturing in areas like quality control, product development, supply chain management, sourcing, auditing and law. Less than two months remain before the conclusion of Presidents Xi and Trump’s trade truce. Trade tensions seem to have calmed for the moment. Earlier this month, the first face-to-face discussions ran a day longer than planned and concluded without incident. While the truce halted President Trump’s plan to increase tariffs from 10 to 25 percent on January 1, 2019, it didn’t eliminate the existing tariffs on $250 billion of Chinese goods. U.S. importers manufacturing in China are still struggling to manage the burden of existing tariffs. But a decades-old customs rule, codified during the Reagan administration, may be the secret to reducing these burdens. And if the 90-day truce ends without an agreement, this little-known legal loophole could prove extremely valuable in coming months. How does the “first sale rule” work? The first sale rule is a 30-year-old piece of trade legislation that applies to goods bought and sold multiple times on the way to their final buyer in the U.S. It works like this: Imagine you make headphones at a factory in China. You sell those headphones to a trading company in Hong Kong (or anywhere else outside mainland China). Then your Hong Kong trading company sells the headphones to the U.S at a marked-up price. President Trump’s tariffs are only payable on the first sale price—the price your trading company or vendor paid to the factory for those headphones. So if the first sale price is lower than the final price, you can pay reduced duties. You might pay a 15-percent duty on an item bought for $8 each in the first sale, rather than 15 percent on the same item you pay $10 each for from your vendor, for instance. But it’s not as simple as writing an extra buyer into your records. Each transaction must be legitimate and each party must make money on the sale. 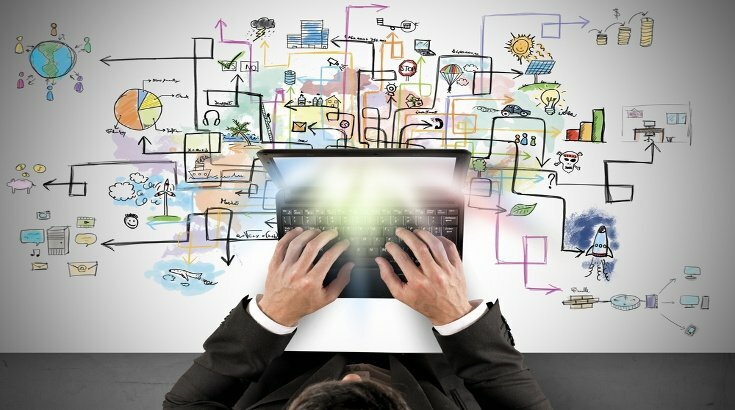 Depending on the transaction, the required paper trail can become even more complex. The first sale rule can help reduce your tariff burden. But there are multiple reasons why companies aren’t taking advantage of the rule yet. For one, compliance requires a ton of documentation, which takes time to gather. And it can be extremely difficult to convince Chinese suppliers to share their financial details. There’s also the cost barrier of certifying suppliers, establishing the documentation and other requirements. And managing the process, usually manually rather than through ERP software, can be a pain. It took Farouk Merzougui, Chief Financial Officer of Native Union, a designer of luxury tech accessories, five months to implement the rule in his supply chain. Merzougui said implementing the rule required a lot of preparation and documentation. But now that he’s done the legwork, Native Union is saving two-thirds of the duties it used to pay on exports to the U.S.
There’s no denying the tremendous opportunity presented by paying duties on a lesser first sale price. Putting in the time and effort upfront could payoff in the long run—especially if tariffs increase on March 1. Follow the link below for more on the first sale rule. In 2017, Amazon reduced packaging waste by 16 percent, eliminating 305 million boxes from their supply chain. But that same year, the company shipped five billion boxes to Prime members alone. Packaging waste has a large carbon footprint. There were 68 million tons of new cardboard produced in 2015—the same impact as 94 coal-fired power plants running for one year. When it comes to packaging, the environment is a major concern. But it’s not the only packaging challenge facing online retailers. Online sellers need packaging to protect their products in transit. But they must also consider cost efficiency, waste, shipper requirements and the unboxing experience when making packaging decisions. As the ecommerce market continues to grow, improving packaging logistics is becoming a key consideration for online retailers. Unless your product is ultra-durable, you probably require some sort of packaging to protect it during transport. These challenges often bleed into product design. According to Emmy Corman, package design engineer at Dollar Shave Club, right sizing their Blueprint cologne to the shipper was a key consideration when creating the product. Designers had to balance their shipper’s size constraints with the necessary cushioning to keep the cologne intact during shipment. A product that doesn’t fit in your shipper is like a product that doesn’t fit on the store shelf. Packaging must also meet your consumers’ needs. Unboxing contributes to the overall customer experience. Amazon previously received a lot of criticism when customers were receiving small items in massive shipping boxes. The oversized packaging was likely a byproduct of other shipping logistic decisions. But while the packaging may have improved Amazon’s bottom line, it hurt the customer experience. Ecommerce sellers have fewer touchpoints with customers than traditional retailers. And packaging presents an opportunity to provide additional value to the customer. According to Dotcom Distribution, 52 percent of consumers are likely to make a repeat purchase from an online merchant that delivers premium packaging. It’s up to each individual brand to find a balance between aesthetics and functionality. But no ecommerce brand should overlook the importance of logistics and the customer experience when designing packaging. 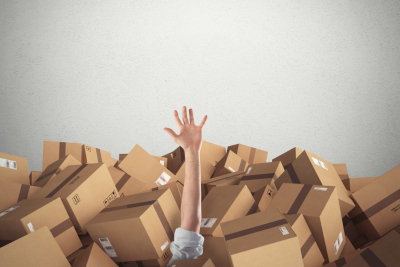 Follow the link below for more on the challenges of ecommerce packaging. Cambodia’s garment sector employs 86 percent of the country’s factory workers. And about 40 percent of Cambodia’s GDP comes from garment exports, according to the Phnom Penh Post. For many years, low wages have helped maintain the country’s prominence as a garment production destination. 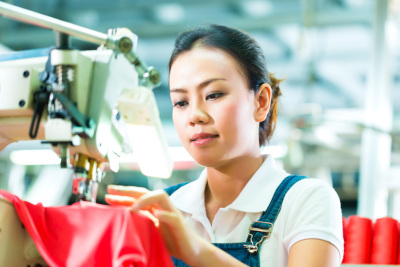 Yet concern among the nation’s factory owners has grown amid wage hikes, a deteriorating political situation and increased competition in the global garment marketplace. But importers shouldn’t write off Cambodia just yet. 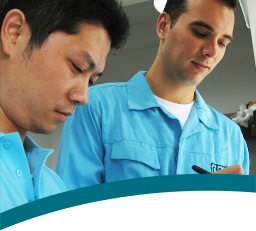 The Better Factories Cambodia Annual Report 2018, which provides insight into trends in compliance and working conditions, points to major improvements in Cambodia’s factories. Ensuring a culture of compliance in Cambodia’s garment sector may help quell uncertainty and boost foreign investment. And if the positive trend continues, Cambodia could become an unstoppable force in garment production. The latest Better Factories Cambodia Annual Report was published at the end of 2018. It contains data from 464 assessment visits over 14 months—from the beginning of May 2017 to the end of June 2018. The report examines 21 critical issues, including labor standards, discrimination, contracts, occupational safety and compensation. Since public reporting was reintroduced in 2014, there’s been a decrease in violations on critical issues and a greater proportion of compliant factories. And incidents of underage workers declined from 74 cases in 2014 to just 10 in the last reporting period. Other critical issues relating to emergency preparedness, non-discrimination and payment of wages and allowances also showed steady improvements. While factory working conditions saw notable improvements in this year’s Better Factories report, other critical areas remained stagnant or declined in compliance rates. The report also revealed high levels of noncompliance with Occupational Safety and Health (OSH) requirements—which were recorded at a staggering 34.7 percent of factories. Factories where all OSH requirements are implemented are still the exception. 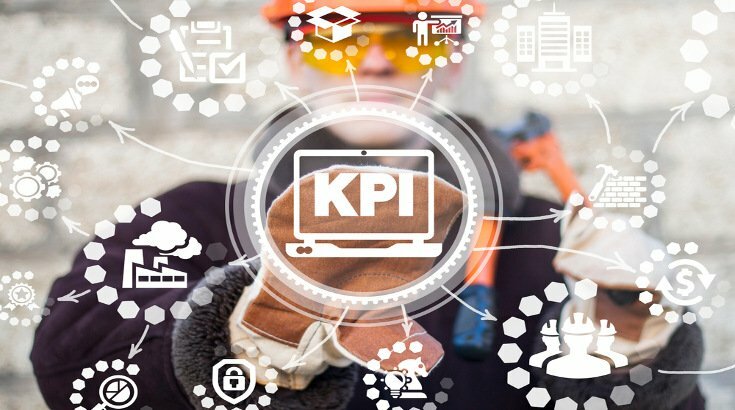 Factories often lack proper OSH policies, proce­dures and division of roles and responsibilities, leading to higher rates of noncompliance in this area. Better Factories Cambodia recommends factories establish and maintain a robust OSH management system according to international guidelines to improve compliance. This year’s report shows progress. But sustainable change will require continued effort from everyone involved in Cambodia’s garment industry. Follow the link below for more on improvements in Cambodia’s garment sector. We’re constantly scanning the web for top manufacturing stories and news. 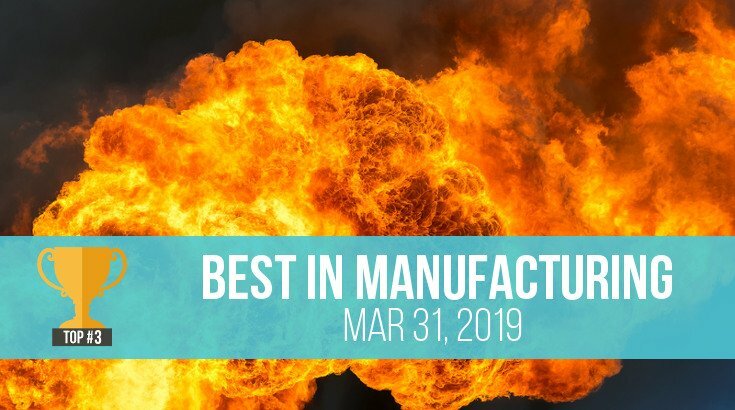 If you’d like to submit an article for consideration for our weekly Best in Manufacturing, send us a message and let us know. Synnove Vandal is from Seattle, Washington. She completed her B.A. of Global Communication Studies at Fairhaven College. She worked at InTouch as a content marketing intern from August 2018 to February 2019. She loves running, traveling and mountaineering.